A bottle that wants to invite you to change your point of view. The word “Balikwas” means suddenly jumping into another situation and feeling surprised, completely change you perspective and understanding of something that you thought you knew differently. Therefore it means “jumping beyond the wall of your comfort zone”. A comfort that is represented in the label by red poppies, beautiful and reassuring but all alike, separated by a wall from floating, carefree and different yellow poppies. Our Balikwas with its fresh and vivacious taste characterized by the strong note of lime wants to surprise you and let you discover our personal version of sparkling white wine. This wine is highly adaptable as an aperitif or to be used in the mixing of cocktails with a fresh and citrus flavor. The excellent acidity and the low sugar content give it a full, sapid and balanced taste. Viajo, which translates ‘journey’ in the Venetian dialect, is the first zero-dosage Pinot Grigio of the Venezie DOC: it is the expression of Enotria Tellus‘ path towards a bold and innovative product for its characteristics. 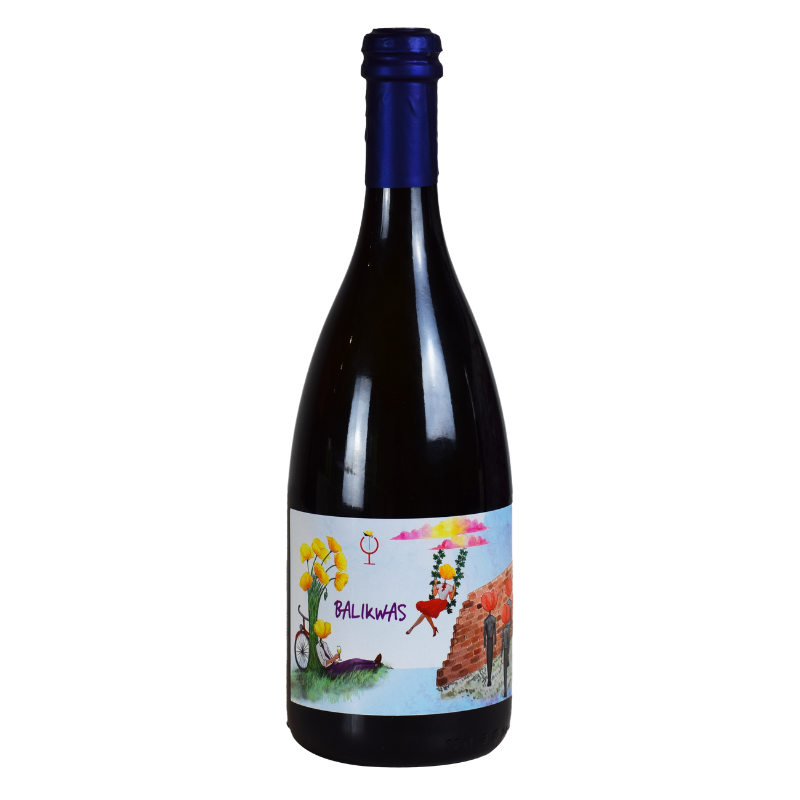 It has a savory and mineral taste, with delicate fruity notes and an aroma of white flowers. 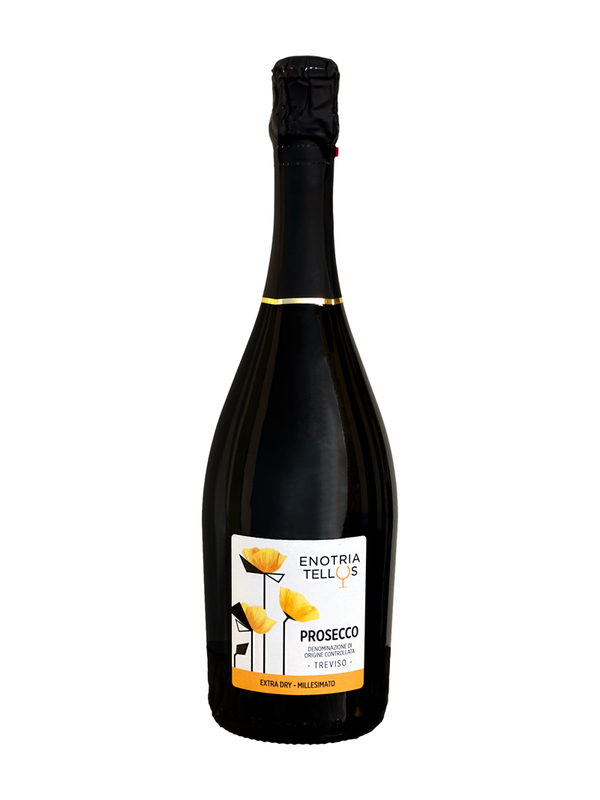 The imaginary contained in this precious sparkling wine, is evoked from the label with dreamy and magical references: a train driven by fantasy creatures, an explosion of flowers, and a clear reference to the freedom of riding a bike, the smell of freshly cut grass. The bottle translates its contents accordingly, evoking the colors of the Venetian countryside, inviting us to dive into the bright shades of the flourishing nature, and bringing our memory back to our origins, in the plains were these grapes grow. In the label as well as in the logo, we pursue the goal of merging the ancient and the modern, in an endless evolution of the tradition. We decided to combine a design created with a typical method of illustration such as watercolor, to modern digital techniques to represent the stems with bold and geometric shapes. 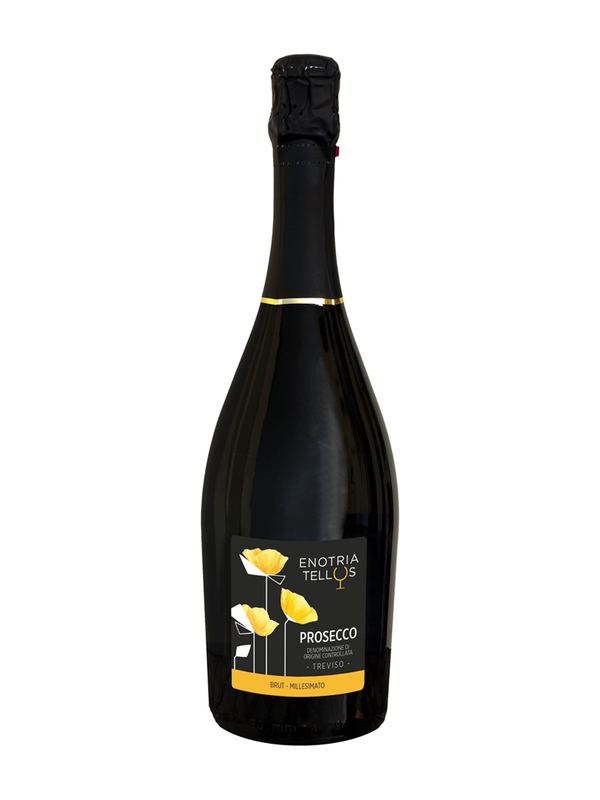 The contrast between classic and new is then reflected in the wine that re-proposes Prosecco’s known characteristics with atypical perfumes.